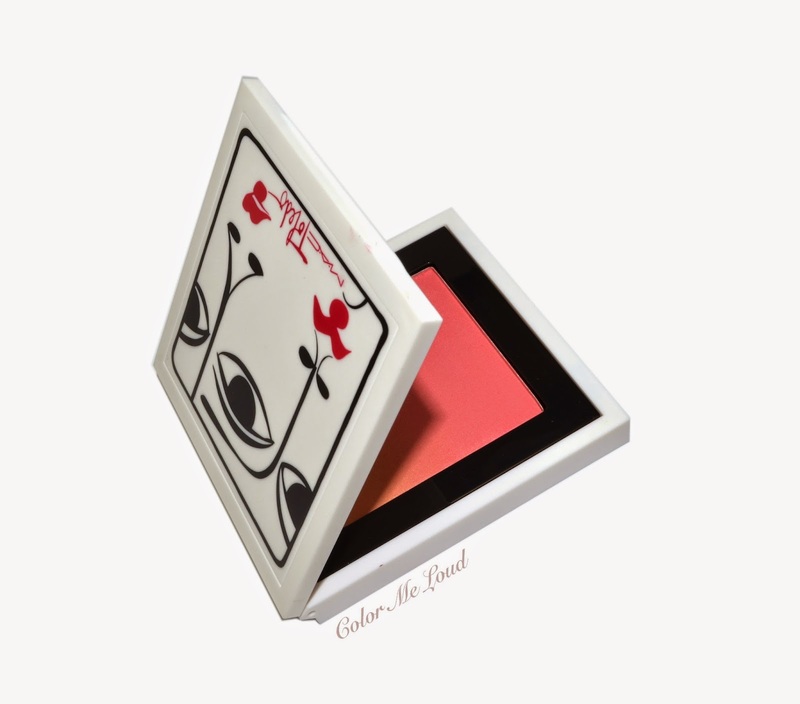 Today I have a few MAC Toledo Collection items to share with you. The collection went online today in the states and will hit the store on the 5th of February, next week. 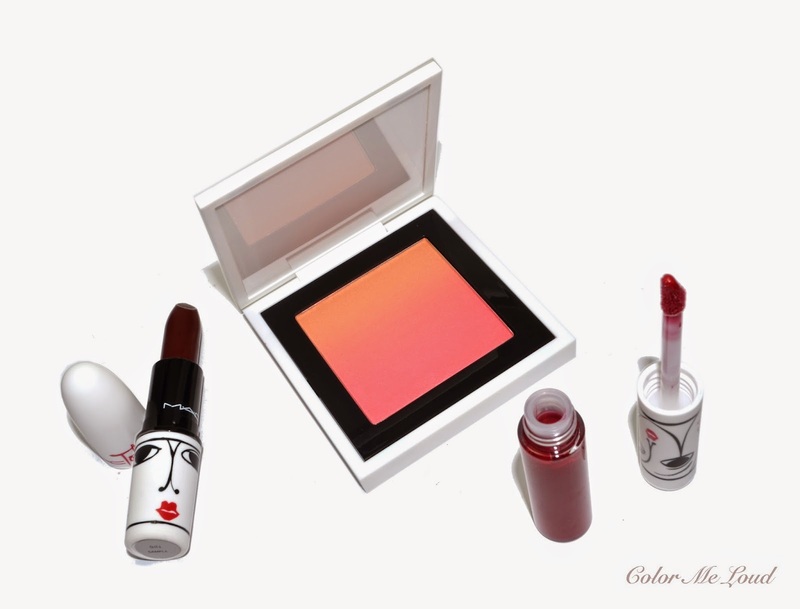 There are three ombre blushes in the collection for those of you who missed on Proenza Schouler Collection last year. One of them is Ripe Peach, a shade which was originally came out in 2010 for Spring I believe, you can see the photos of the first release here. Afterwards like many other discontinued MAC products it became very hard to find and was sold for collector prices at auctions. It might be the bad news if you have already paid high $$$ to get it but for all of us others, yay, Ripe Peach is back! Have I said back? At the time I am writing this review, it is already sold out at maccosmetics online store in the states. I am hoping though there is a new stock or you can catch one at the store on Thursday. Now back to the collection, the packaging... I love the design on these, I like minimalistic and creative drawings on a clean white background. The material is plastic and it feels rubbery but not overly so. Also the white packaging is nice because it doesn't show the finger prints. Those were hard to take photos against a white back ground though but that is probably not a concern of many. I especially like different noses on the figures, check them out, they are fun! Ombre Blushes must be the stars of the collection. I am using Ripe Peach for a few days now and I have now understood what the buzz about it was. It goes from a lovely peach to a more of a peachy pink, natural pink shade. You can customize it by using the upper or the bottom part or you can mix all of that for a very natural look. I like Ripe Peach more than Ocean City and Sunset Beach because those were going from cool to cooler or warm to warmer. Instead Ripe Peach goes from warm to cool making the mix very interesting and the color very customizable. 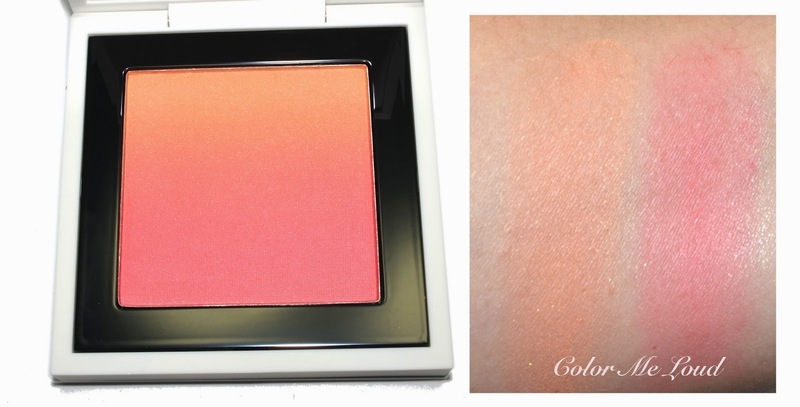 MAC Ombre Blushes come in a compact which has the size of their eye shadow quads. It has 9 g / 0.32 Oz product inside and retails for $32. I am planning on getting the other two blushes as well but I am certain that Ripe Peach is the highlight, so don't miss it this time. 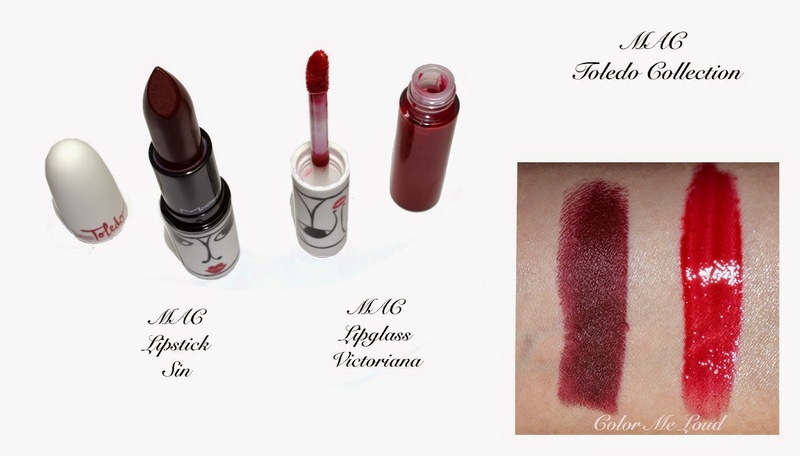 MAC Lipstick Sin is from MAC permanent line and now released with Toledo Collection design. At the end of last year I purchased it when it was released in Rocky Horror Picture Show Collection packaging and loved using it each time I reached for it. It is a very pretty deep burgundy with plum undertones. Although it looks very dark and scary on the tube and on swatches, I found it to be wearable on my complexion. MAC Lipglass in Victoriana is a lovely pink red which is not too deep. 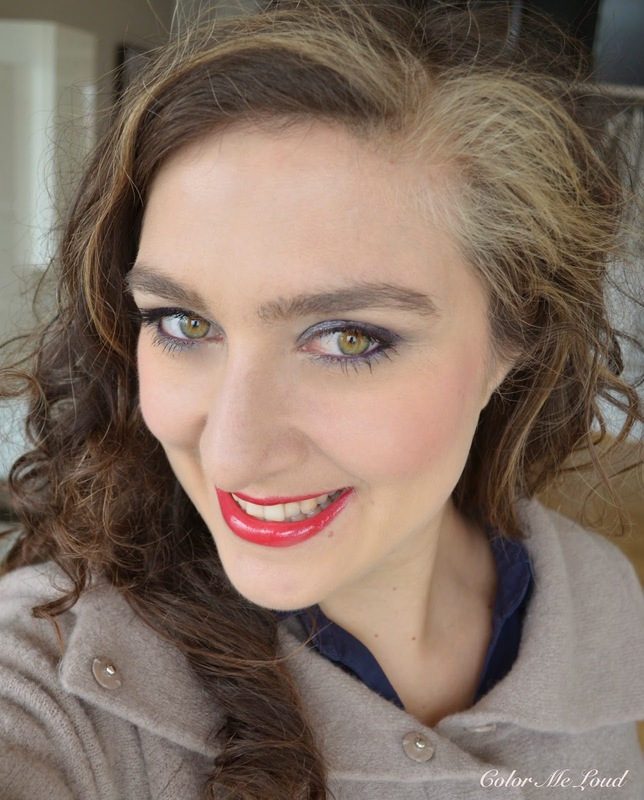 It is not too glossy which I like and it stays on so long on the lips for a lipgloss. It was there even after lunch. I find MAC's lipgloss formula a little sticky but they are one of the longest lasting ones on me at the same time. And here is me wearing MAC Lipstick in Sin. That one is one of my favorite matte lipsticks from MAC line. It has a lovely berry tone to it and it is borderline vamp on me. Nothing look so dark on me though, I don't now why... On the cheeks I am enjoying Ripe Peach again. 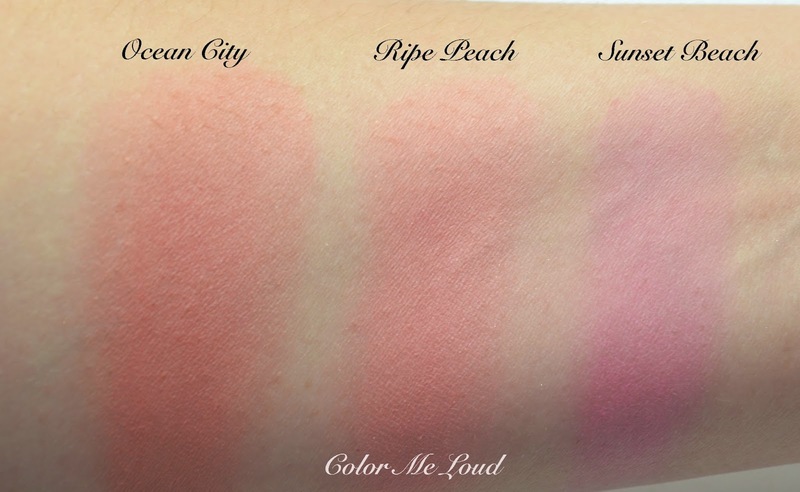 EDIT: Upon dear Jaa's request, here are some comparisons between recently released Blush Ombres and Ripe Peach. As you see Ripe Peach goes from warm to neutral/cool but Ocean City goes from warm to warm and if swirled all together it is more of an orange/red than a peach/neutral pink. Sunset Beach is one of my all time favorite cool toned blushes. It is still on my desk and I use it regularly. It has 14 g of product so I don't think I can ever finish it, which makes me feel better about the regular usage. 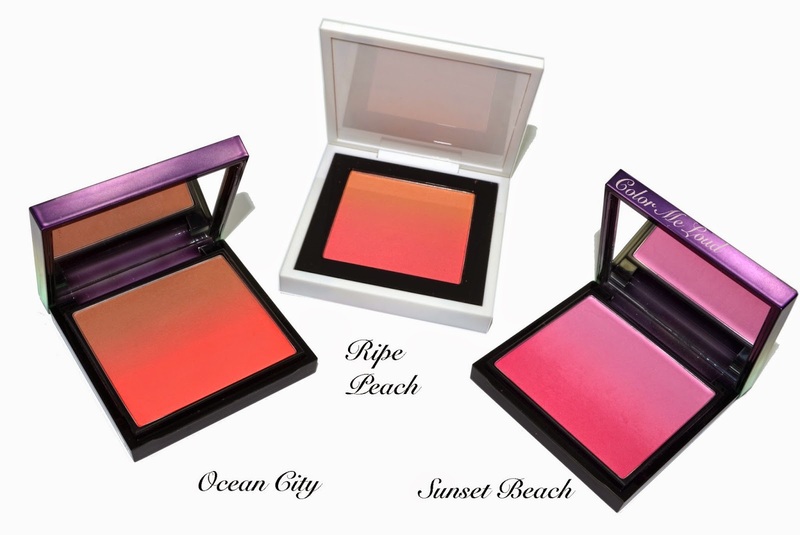 All three of them are so pretty but Ripe Peach is unique as Ombre Blush and in my opinion it is something you wouldn't like to miss, even if you have Ocean City. Final thoughts: I really like the packaging and might not be able to withstand some more items from the collection. Who am I lying, I have made my list already, purple palette, two more Blush Ombres and a lipstick. I like Victoriana and its staying power. My two cents: don't miss Ripe Peach this time around, you may regret it. Availability: In the States it is now available online and will be on the counters on the 5th of February. As for Germany, I am waiting for the information from PR and I will update the post as soon as I have it. I have heard it will be first in March though. 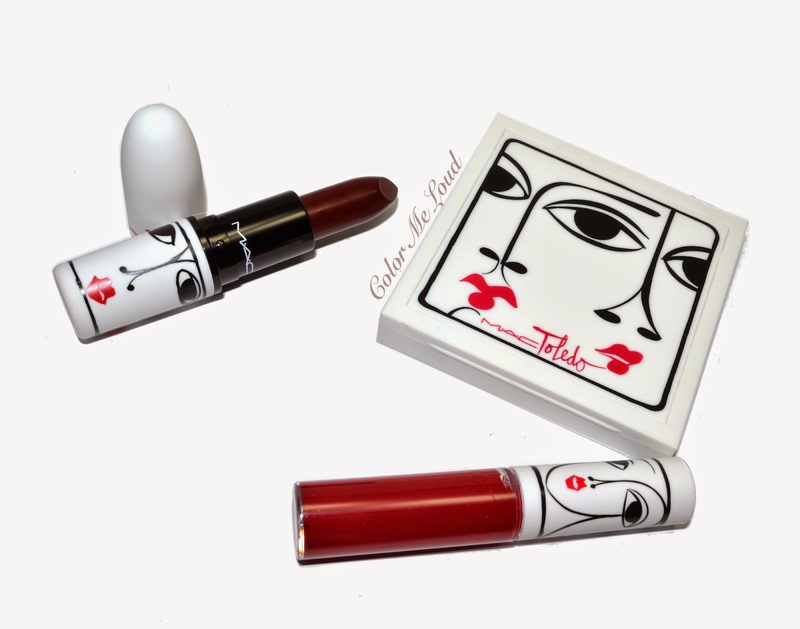 Are you getting anything from MAC Toledo Collection? I am so inlove with that blush! So love the shade and coverage. I must have it! I am loving it as well, using it everyday now! I aqm lipstick lover. It is hard for me to identify the better one between mac lipgloss victoriana and mac lipstick sin :) lovely swatches btw. glad that you liked. I like them both, Sin is something I would wear more often. It is only 11:05 a.m. NY time and Ripe Peach is already sold out online. So frustrating and typical of MAC! I am so sorry about it but I have heard that other shops will sell these online as well as in stores. So you have more than one chance to pick it up. Wish you luck! It is really a stunner, don't give up. I bought the blush ombre in Azalea Blossom since I already have the Ocean City. :D I can't wait to see how beautiful it will be in person! I wonder how Ripe Peach compares to the Ocean City, though. :) Lovely look here as always, Sara! So refreshing! I have posted the comparison swatches for you, hope that helps. Thanks so much for the extra work, Sara! I really appreciate it! Ripe Peach does look very similar to Ocean City! Slightly brighter and more peachy perhaps but still very close. You know my next question is going to be right? In case you don't, I would really like to see a comparison swatch between Sunset Beach and Azalea Blossom! ;D I'm still bummed that I missed out on the Sunset Beach! Well, blame MAC. They sent me the wrong color. LOL. The lipglass looks amazing on you. So fresh, although the swatch was more darker. The blush is a repromote, right? I think I remember this from 2010. 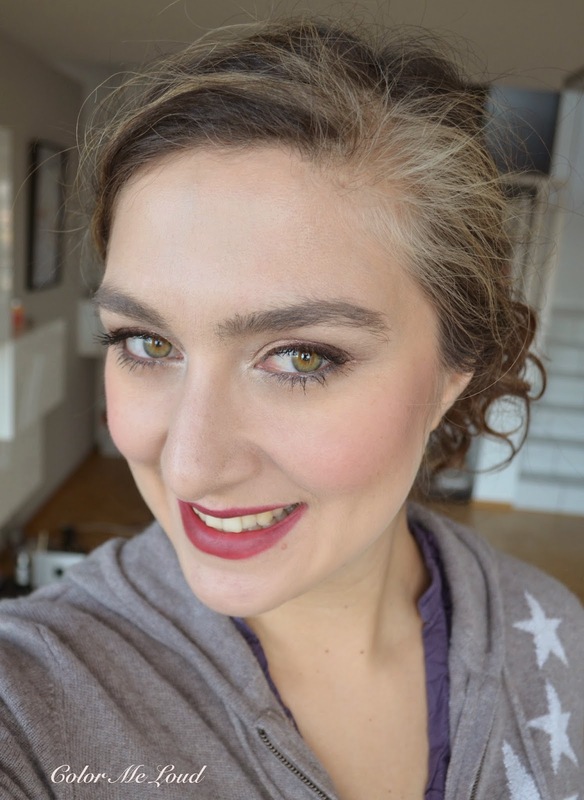 Because I couldn't get it, I went for the Estee Lauder "dupe" - Peach Nuance (here is a comparison: http://www.temptalia.com/estee-lauder-peach-nuance-blush-review-photos-swatches), but selled it soon anyway.